How does a broker, dealer or insurance determine the value for your vessel? Well there are published boat valuation books that are printed each year and they determine their published valuation based on the following information. The publisher determines Retail Values and Trade in allowances for over 72,000 used pleasure boats. This includes the most popular brands in average condition with typical equipment for the size and age of the boat. These values are available for the years of 1975 through to 2015. these same publishers provide values for sail boats. These publications are for the use of marinas, brokers, surveyors, insurance, leasing and finance companies to help calculate the appropriate value of boats when making a sale, taking a trade, listing, insuring or financing. However they then include a huge disclaimer of non liability. So how do they determine the values they provide? The retail values they rely on are the sold prices from the previous year these are numbers that are supplied by a network of marinas and brokers. This information is combined together with data contained in publications, information provided by manufacturers, the previous years asking prices found on web sites, historical data and competitive forces. This forms the foundation for the determination of appropriate retail values. These publications will then go on to state that the final valuation of any boat however must be determined by applying the users expertise and judgment. Taking into consideration among other factors the "condition of the boat" (this will follow), "geographic location" (this will follow), "accessories" (this will follow), and prevailing local market conditions. These are the reasons why there may be such variations in what you may feel your boat is worth or the value that an insurance company or a broker may approach you with in the case of a claim or an offer. Two varying opinions will be easy to reach so which one is right? This is going to become even more complicated as you read more. So how does one use these Publications to price and evaluate a boat? The first thing you need to do is locate the boat manufacturer which are in alphabetical order, and if you think that the publishers have not listed all the power boat builders you would be suprised there are at least 76 Brand names. For example there are 9 pages for Grew listing 91 different models on page 1 alone. Unreal! There are hundred's of pages with thousands of models listed. MTL is the material the boat is made of. These valuations are for the average boat in average conditions with typical equipment for the size and age of boat in your region. Allowances should be made for any differences. 1-"Provincial or State Factors" should be applied for other provinces or states. 2-"Condition Factors" should be applied if different from average. 3-"Accessory and Trailer prices must be added where applicable. 4- No taxes are included in these valuations. 5-A current survey is recommended to determine condition. So if you read this carefully it becomes obvious that a boat which has been highly customized or received large sums lavished on the boat in electronics, stereo or any other accessories are going to be extremely hard to value and a hard sell up against a well kept up to date original boat. A new trailer under an old boat will create the same situation. Also get a survey, somebody's opinion is not fact! Buyer beware! 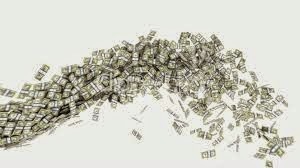 This is why when you are calculating a value to list your boat yourself it is generaly over valued as you maybe adding value that does not apply, we will cover this coming up if you read on. This valuation is based on input from dealers, the following formulas are used to convert retail numbers to trade in allowances. So you can see that you are highly penalized for an non cared for boat and are not as highly compensated for the boat. 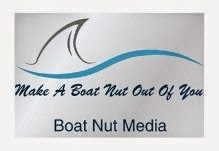 This goes to the heart of the service plan that Boat Nut can provide you with. You will be able to prove beyond a doubt that you would qualify for the 'Extra Clean' addition if you use the service plan, it will provide the documentation that is required for no argument with a broker or an insurance company. If you have a claim, these are the numbers that you will have to fight, and it unusual that you will never make a claim some boats have multiple claims over several years. You must protect yourself, you pay for the protection. This is one of the best parts of this article, does a salt water boat hold the same value? They refer to the cooling systems as fresh water, I believe this means closed cooling. Based on economic reports and projections for the current year of publishing. This information is from the major banks and other forecasting agencies. The publisher then applies a number to all boats imported from the US. The publisher includes a table to be used as a guide as the exchange can fluctuate. Canadian Dollar Increase: IF the Canadian dollar climbs then you will have to make this adjustment based on the fixed exchange rate that the valuations have been based on by the publisher. The same applies if the Canadian dollar falls in value against the US. For international boaters you will have to determine what currency the valuations are based on by your publishers and make the same adjustments. You will have to read this page to correctly identify your vessel in the listings as there are models that are available in different variations. is this will only apply if you have purchased a manufacturer motor not a rebuild. This guide only goes back 17 years, so if your boat is over 17 years old from the current published date there are no adjustments available. These adjustments can bring your valuation up or down thousands so it is important to be accurate with the information, you cannot guess. Remember you can only add value if the accessories listed above have been added to a boat which was not available with that accessory from the factory on your model boat. If you have upgraded due to wear and tear this will not usually affect the value, unless you can show a true up grade from factory supplied items. So do not assume that pilling cash in your boat will get you a real value gain, this is not true. Carefully spent money can make a boat more appealing to a buyer, this is true when a boat model did not come with an obvious upgrade that is popular. When you are valuing a boat it is important to know what was considered standard features and accessories, in the 80's and 90's many items were considered upgrades from the dealership you need to do your homework. The Guide covers anything back 18 years only. If you buy a small trailer boat without a trailer you are hurting the boat value. Actually any boat that would have come on wheels can take a hit without a trailer. If you have a new trailer then you can adjust up for this. Boat Nut hopes that this information brings some clairity to why power boat values are all over the map. If you are trying to move up or sell your boat it is important that you really understand your boat. With knowledge of how the boat came originally, what you can add value for and what the condition of your boat actually is. You can ask what you would like for your boat but your opinion maybe far away from real condition reality. Just because the boat is clean and undamaged does not mean the boat is considered clean if you have ignored the service on the mechanicals. As a buyer do not pay up for all the new gear a lot of that upgrading may fall under maintenance. The most important thing that can be said is you have to have an non bias reliable source of information. This is hard to do but a neccessity to make a sound investment. As new technology continues to advance a traditional survey on boat condition will not be enough when mechanicals are 2/3 of the boat value you will need to rethink the boat buying process, a lot of boat owners are going to get burned. Get a relationship with an educated marine expert and ask for a report on the boat before you even go and look at it. Have your expert review the report and then go and look, boats will sell themselves so you need to have an idea of what you are getting into before the boat draws you in. It is important to remember boats are now bought and sold internationally, buying a boat in a more compettive market does not mean you are going to get a better deal or a better boat!